Medical Media Images Blog: 3-D Mammograms: What does the Science tell us? 3-D Mammograms: What does the Science tell us? Over the last several years, 3-D Mammography, also called by its scientific name, "Tomosynthesis" has been offered by some Radiology Centers as an added study to a conventional Mammogram. 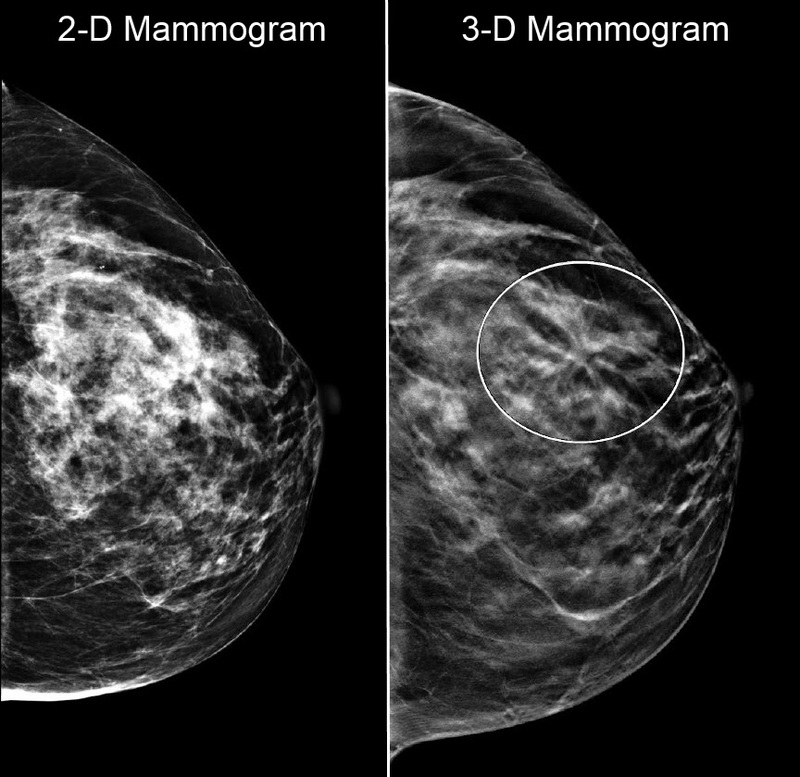 Instead of taking the conventional top and side X-Ray of the Breast, 3-D Mammograms image the breast from multiple angles which can be computer reconstructed into a 3-D type Image. 3-D Mammograms were approved in 2011 by the FDA as an additional study to the conventional 2-D Mammogram. This approval did not grant the 3-D technology to be substituted for the 2-D study. Rather it was meant to allow Radiology Departments to use the 3-D test if patients asked for it. 1. Mammograms have a high "false positive" rate, meaning that patients have to return for additional studies or even biopsies, which eventually prove that no cancer was present. This is true for 10% of patients who undergo a Mammogram. 2. It is estimated that over 30% of Breast Tumors eventually disappear on their own. However, the detection of these Tumors on Mammograms commits the medial community and patients to treatments, which would otherwise not be needed. 3. Due to the necessary compression of the Breast during a Mammogram, the Breast Tissue can fold. This can make it difficult to find cancer in some patients. The compression of the Breast could also potentially contribute to spreading of the Cancer, if present. 4. Mammograms do expose patients to levels of ionizing radiation which are generally not deemed dangerous by themselves. However, due to the high frequency of mammograms (annually) and patients exposure to other sources of radiation such as CT scans, these levels of radiation can become dangerous. 5. Mammograms can be difficult to interpret in women with very dense Breasts. 6. Mammograms are thought to miss up to 20% of Breast Cancers. While other Radiology studies such as MRI and Ultrasound are often used to screen for Breast Cancer after a Mammogram raises potential red flags, they are not ideal Breast Cancer screening tools which could substitute for Mammograms. MRI exams are too expensive, and Ultrasound technology by itself cannot detect many Breast Cancers. The ideal Breast Cancer screening tool would not expose patients to radiation, have a very high rate of positively identifying cancer and a very low rate of missing cancer. The technology of 3-D Mammography tries to solve some of the issues inherent in Mammograms. By creating multiple X-Ray "slices" of the Breast each from a different angle, this study could potentially offer more information about each layer of the Breast Tissue. More information might mean easier determination of what is normal Breast Tissue and what might be abnormal. To answer these and many other questions, multiple studies have attempted to gain a detailed scientific look at 3-D Mammography. Among these, the latest study stands out. This study, called "Breast Cancer Screening Using Tomosynthesis in Combination with Digital Mammography" was published in the Journal of the American Medial Association (JAMA) on June 25th, 2014. Here is how the JAMA study was designed: 13 Radiology Centers participated in the study, which were a mix of academic and private institutions. The study looked at over 450,000 mammogram examinations. Of these, almost 62% of patients received the standard 2-D mammogram, while the other 38 % received a combination of the 2-D and 3-D Mammograms. Rather than assigning patients randomly into groups receiving only 2-D as opposed to the 2-D, 3-D combination, the study simply phased the 3-D equipment into the Radiology Departments over time. This has been a point of scientific contention, since high quality scientific studies rely on the principle of randomizing patients to different study groups, which was not done in the JAMA study. The results of the JAMA study appears to show a reduction of the "False Positive" Rate (mammogram identifies potential tumor which is later ruled out) by 15%. If true, this could mean that almost 600,000 women would be spared the emotional pain and stress of having a "False Positive? exam. The other important result seems to show that the 2-D, 3-D combination found over 40% more invasive Breast Cancer than the 2-D Mammogram by itself. 1. If patients receive both a 2-D and 3-D mammogram, does the additional radiation expose them to higher cancer risks in the future? 2. The JAMA study did not randomize patients arbitrarily into the two groups (2-D, 2-D+3D) which would be a higher quality scientific study. The lack of randomization could have significantly skewed the results. 3. While the JAMA study seems to indicate that 3-D studies can find more cancers, it does not tell us if this affects the survival of the patients. 4. Many of the authors of the JAMA study were paid consultants by the manufacturer of the 3-D Mammogram equipment (listed under "disclosures" at the end of the study). An ideal scientific study is conducted by doctors without a direct financial interest in the outcome of the study. 5. Due to a lack of definitive science, most Health Insurers do not cover the cost of the 3-D study (typically $50-$100). In summary, science may eventually establish that 3-D Mammograms offer an advantage for certain patient groups, it remains doubtful that it will substitute entirely for the conventional 2-D study. More likely it will be used as an ancillary study in particular patient populations such as younger patients with very dense Breast tissue. This is the primary role which the 3-D technology plays in other countries. From the perspective of finding the ideal Breast Cancer Screening Study, 3-D Mammography is still far away from what is needed to predictably identify at-risk patients, while at the same time minimizing the risk posed to the patient. Medical Media Images does NOT dispense medical or legal advice. Our images, text and any content cannot be used for diagnosis or treatment of a medical condition. All Images and content are for information purposes only. You must consult with your physician if you need medical advice. Medical Media Images is not a substitute for medical advice. Neymar's Spine Condition: What is "Spondylolysis"? 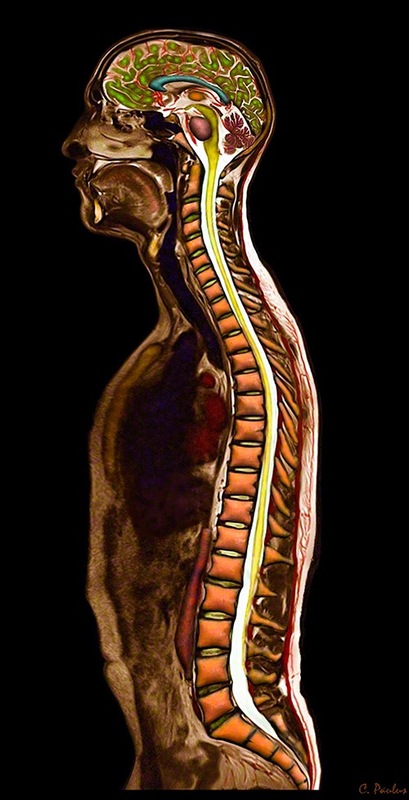 What is Degenerative Disc Disease (DDD) of the Low Back (Lumbar Spine)? The Ebola Virus: A potential Worldwide Pandemic? Are Epidural Steroid Injections Safe? Medical Media Images is the Only Company to provide Color Medical Images of MRI Scans, CT Scans, and X-Rays. These images are produced by our Physician-Medical Illustrator Dr. Christian Paulus in a high quality, scientifically accurate fashion, using Patent Pending Methods. Our images are available in a wide variety of electronic and print uses, as well as by custom order. © 2013 Medical Media Images. All Rights Reserved.